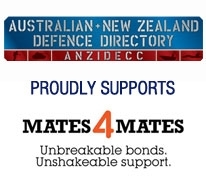 The annual Defence and Industry (D+I) Conference is a key event for Defence and industry engagement, presentations, government announcements and contributes to collaboration in the Defence and security sector. The Aerospace Environment Working Group (AEWG) is a symposium hosted by the Director General Air Capability Enablers - Air Force (previously Director General Modernisation Branch) and an Industry Co-Chair. The Royal Australian Air Force will be conducting its biennial Air Power Conference on the theme of Air Power in a Disruptive World over the period 20-21 March 2018 at the National Convention Centre in Canberra. The annual Military Communications and Information Systems (MilCIS) Conference welcomes military and government organisations, academia, and defence industries to contribute to the future direction of military communications and information systems.